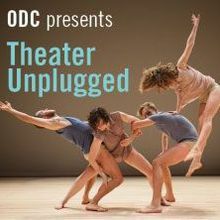 A perennial summer highlight, Theater Unplugged is the fascinating culmination of a two-week, shared residency among two artists curated by ODC Theater Director Christy Bolingbroke. This unduplicated program for carte-blanche dance-making and a one-night only work-in-progress showing offers audiences a rare and candid look into the artistic process. This year's Theater Unplugged features Izzie award winning Pearl Marill and ODC Theater Artist in Residence Hope Mohr. See new works, hear from the artists and immerse yourself in these choreographers' creative experiences.